We currently grow 7 varieties of grapes, both American and French-American hybrids particularly suited for our varied climate. 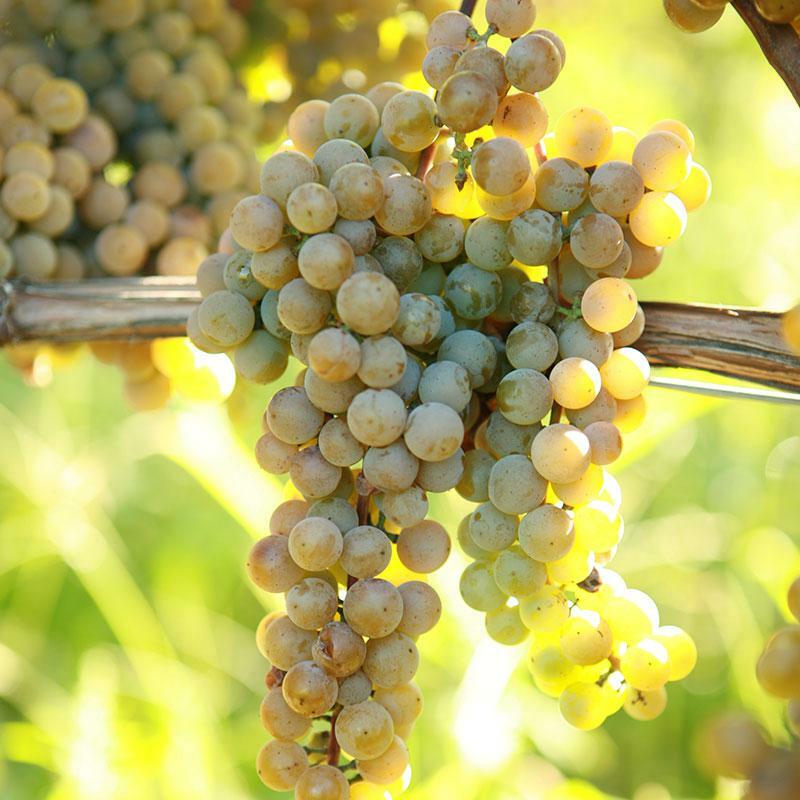 Our attentiveness to the grape from vine to bottle assures the production of fine wines to suit a variety of palates. We started our vineyard in 2006 with the planting of 1.25 Acres of vines. Frontenac, Brianna, Lacrescent, Lacrosse, and Concord were all in the mix. Our intent was to grow and sell our grapes for a few years, then open our own winery. The onset of age and the inevitable decline in energy level led to the acceleration of our timetable. In 2008 we added another two grape varieties, Esprit and St. Croix, in a .75 A block. Additionally, we have proceeded with the conversion of our barn into a small winery and tasting room. Looks Like: Bluish-black color, small to medium sized berry. Smells Like: Distinctive cherry aromas. Tastes Like: Cherry, blackberry, current and plum flavors. 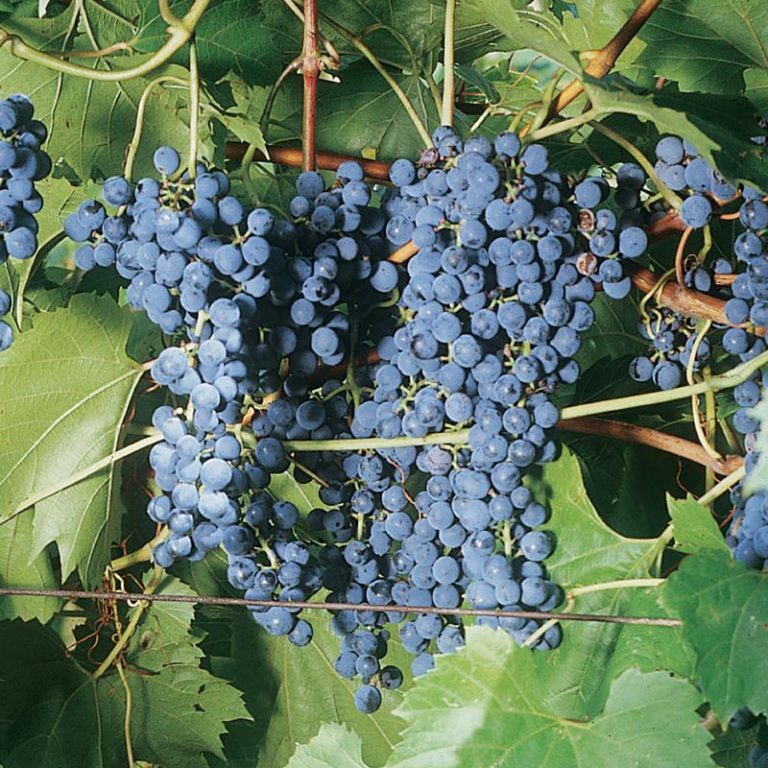 Used As: Produces rosé, red or port style wines that are often deeply colored. Looks Like: Medium-sized clusters of greenish gold to gold berries. Smells Like: Pineapple, citrus and floral nose. Tastes Like: Apricot, peach, pineapple, and honey flavors. 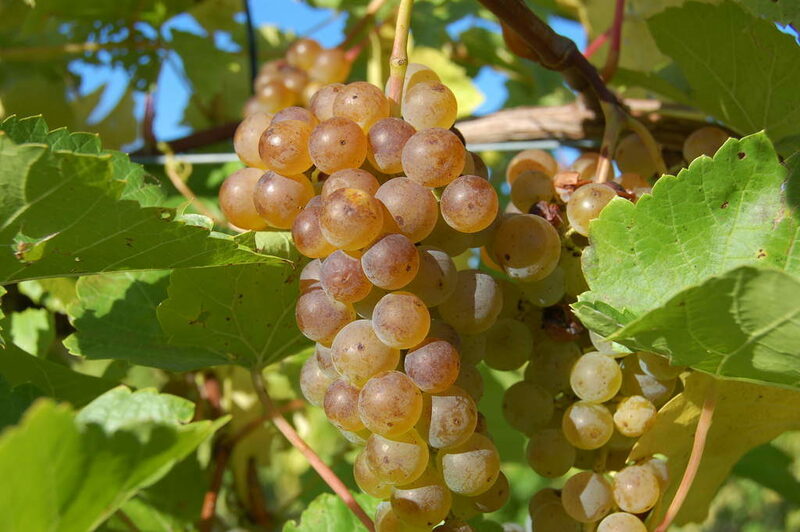 Used As: Produces nicely balanced, semi-sweet, white wine. Cold Hardiness: Hardy to around -25°F. Looks Like: Medium yellow-green, spherical. Smells Like: Pear, apricot and citrus. Tastes Like: Citrus and stone fruit flavors with moderate acidity. 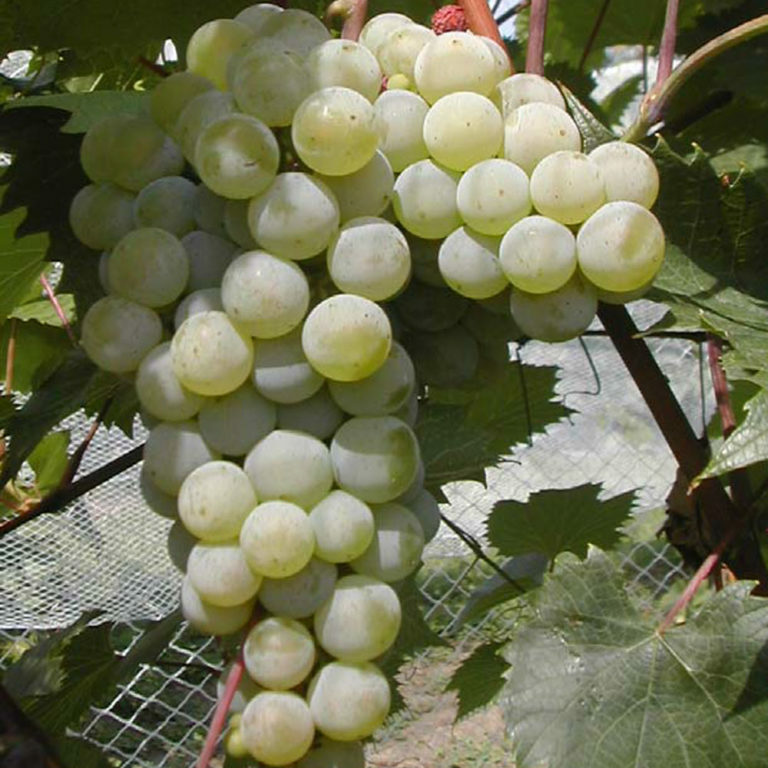 Used As: Produces good quality, clean, white wines, often dry or semi-dry. Cold Hardiness: Hardy to -25°F. Looks Like: Yellow-amber, fairly small berries. 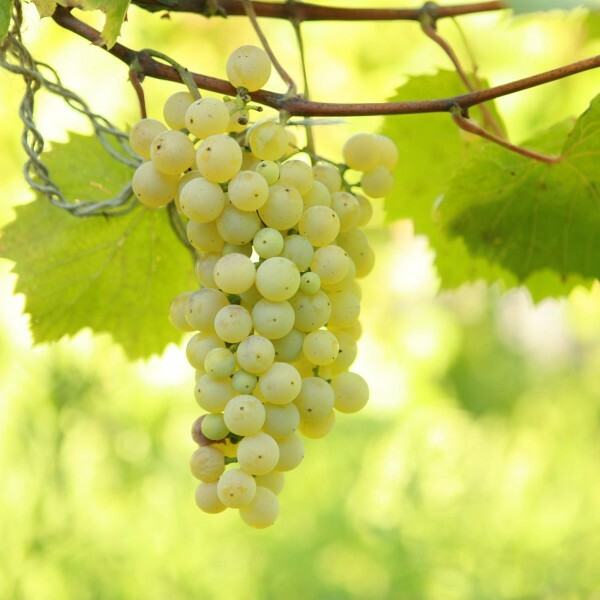 Produces a pale yellow wine. Smells Like: Intense apricot, peach and citrus. Tastes Like: Off-dry and sweet white wines with fruity apricot, peach, and citrusy notes. 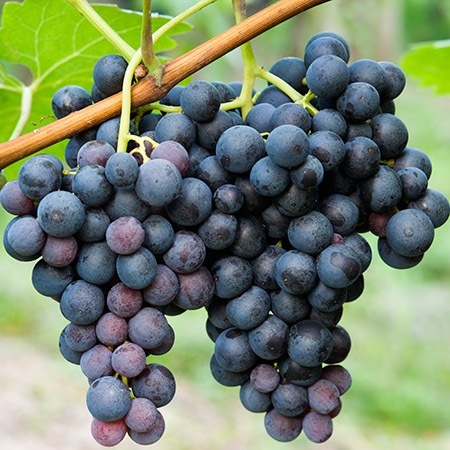 Used As: Produces Germanic-type wine ranging from off-dry to sweet. Cold Hardiness: Extreme cold hardiness (as low as -36°F). Looks Like: Blue in color, medium sized berry. Tastes Like: Medium to full bodied dry red wine with low tannins, currant and other dried fruit flavor aspects. Production often employs oak barrel ageing to add even more complexity to the wine’s bouquet and flavors. 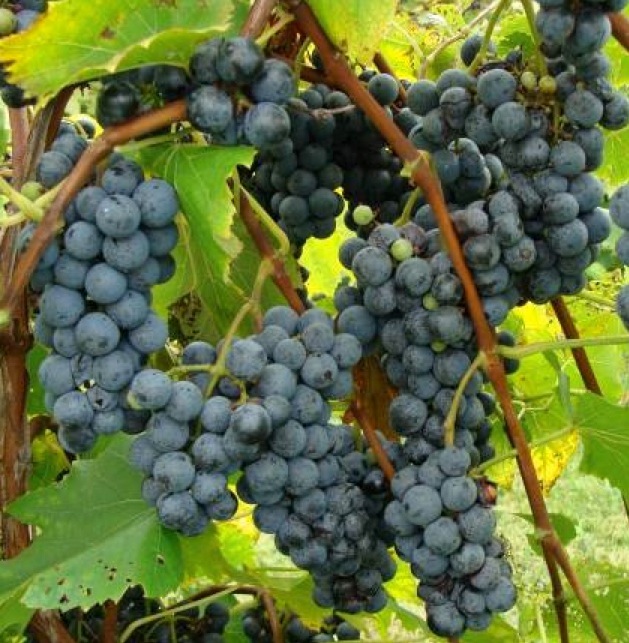 Used As: Produces medium to full-bodied, dry, deep red wines.